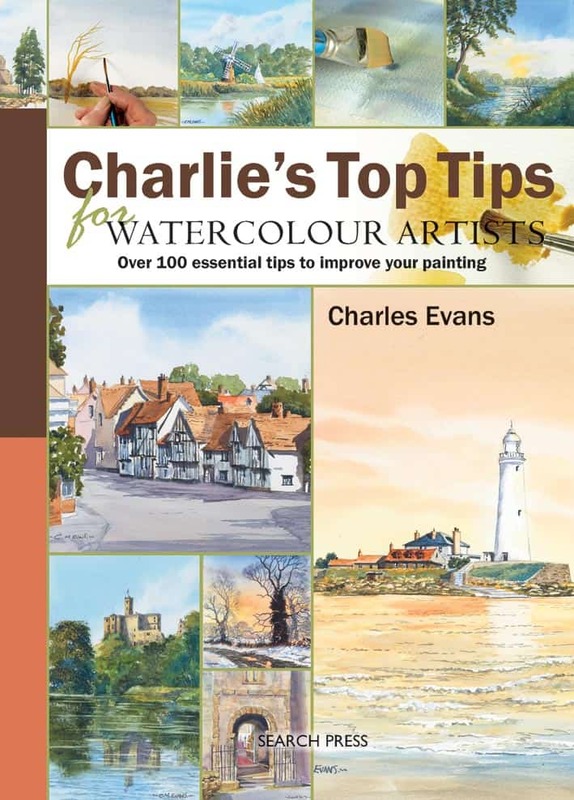 In this book Charles passes on his knowledge and expertise in his own, accessible style, giving the reader the confidence and know-how to produce beautiful, evocative watercolour paintings of their own. It includes tips on everything from choosing which colours and brushes to buy, to how to paint skies, water, texture and buildings. The tips are clearly explained and illustrated using both step-by-step demonstrations and finished paintings. They will help unravel the mysteries of the watercolour medium for those new to painting and also for more experienced watercolourists on the lookout for tips from a master. Charles Evans is one of Britain’s leading painters, well-known from his long-running TV series and for his art classes, which are run all over the UK. His exuberant and informal personality is reflected in his paintings, which have a lightness and simplicity that many artists aspire to. Charles lives in Morpeth, Northumberland.